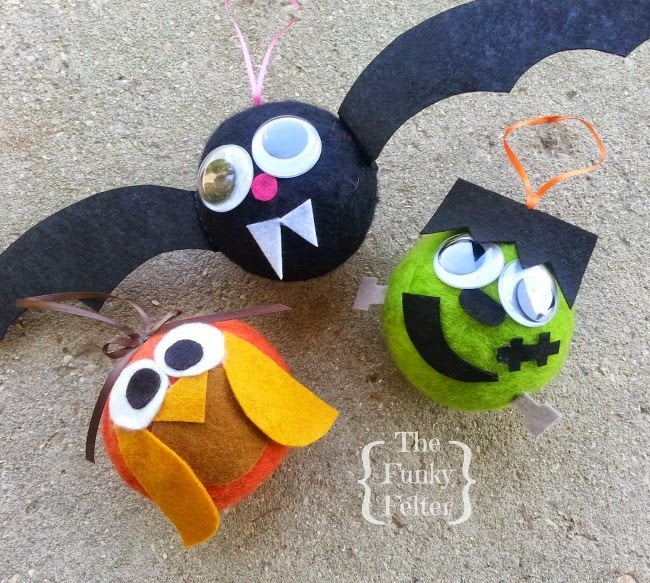 DIY tutorials for how to make these adorable Fall and Halloween kid craft projects! These cute Halloween and Fall characters are quick and easy craft projects for kids of all ages. Find the craft tutorial links below for the large felt ball base and each of the three characters pictured above.